Email is an area where many top publishers are doubling down. Publishers are looking for methods to increase subscribers to their email newsletters while simultaneously focusing on delivering the best content and experience for their subscribers. Without investment in both of these areas, gains in subscriptions will not lead to long term reader loyalty and retention. When a publisher is able to provide engaging content that resonates with readers and fosters engagement, the results are long term loyalty and sustained readership. Today we want to highlight some of our favorite email newsletters from publishers that go above and beyond to deliver the best experience for their loyal readers. If you're a publisher, we hope that these examples can provide some inspiration for you own strategy. If you're a reader, make sure to check out these sites and subscribe if you like what you see! 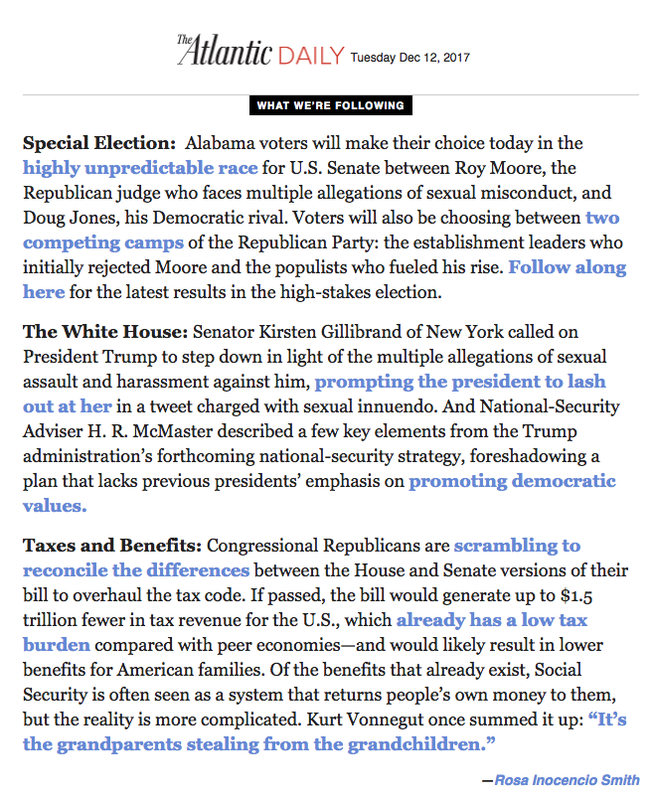 One of the most comprehensive and most engaging newsletters we’ve seen comes from our friends at The Atlantic. The Atlantic Daily offers a full experience within each email. Readers can stay up to date on the latest stories without having to leave their inbox (of course there are links to more great content for those who wish to read deeper) and even sign up to have their and a friend’s birthday shared in the newsletter as part of the Atlantic's Life Timeline project. Key to keeping readers engaged with your content is delivering content that aligns with the readers’ interests. Fansided’s customizable and personalizable newsletter does just that. Subscribers can select from a wide list of topics ranging from different sports leagues and teams to popular television shows. 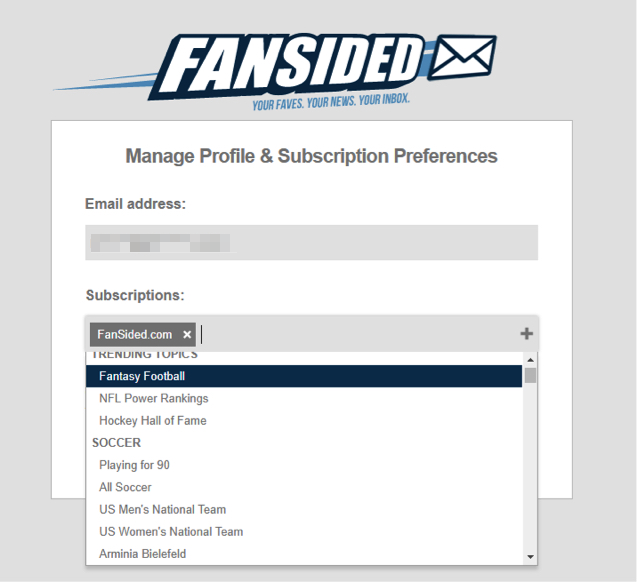 The newsletters you receive from Fansided will be personalized based on your selections, so be sure to browse through and pick out your favorite topics. 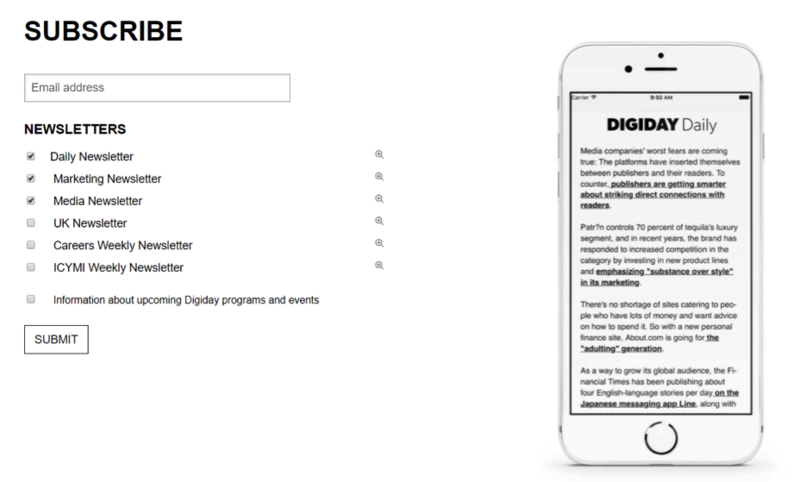 For the modern digital publisher, Digiday is a must read. Digiday helps keep our team up to speed and in the know on the latest news and trends in the world of digital publishing; from publishing in the age of the duopoly to the latest in programmatic advertising and more. In previous posts we’ve applauded The New York Times' investment on retention and focus on relationships over clicks. The results of their investment are quite impressive, with 13 million readers subscribed to 50 different email newsletters. While this level of investment is beyond the means of most publishers, we have to tip our hats to the times. They deliver a large range of newsletters to meet the diverse interests of their different audience members; from regional focused newsletters to cooking and health, they’ve got you covered. 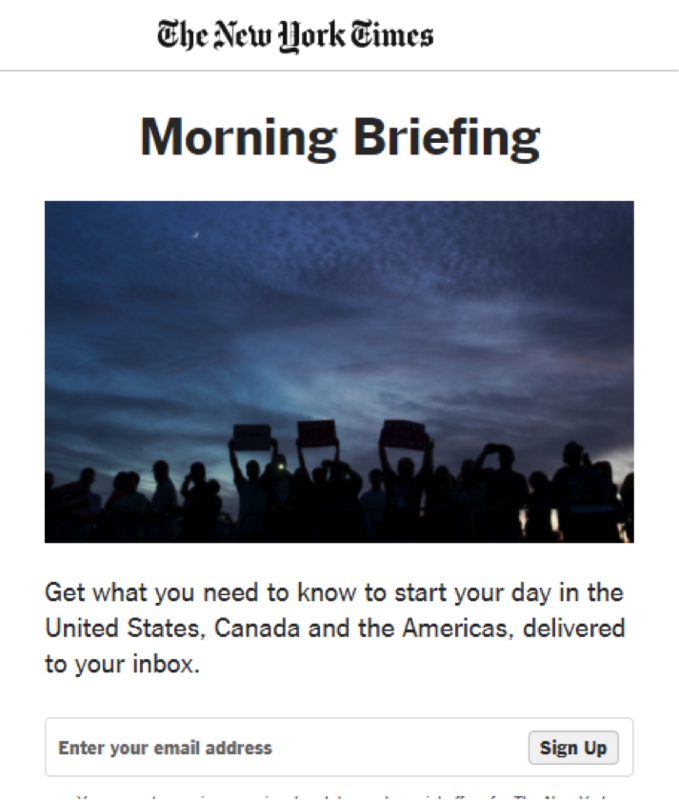 Or if you just want to stay up to date with the latest news on a daily basis, their morning and evening briefing newsletters will deliver easily digestible summaries of the most relevant stories of the day. While these are some of our favorites, they are just a handful of an almost limitless sea of different newsletters from across the web. If you liked any of our picks or if you have other newsletters that you subscribe to and enjoy reading, be sure to let us know in the comments below!